myGanBlog: Firefly how your glow! Art fosters and develops creativity, imagination and self-esteem. Art allows a child to show us their thoughts, beliefs, and understandings of the world. The most effective learning occurs when the child is doing something they can relate to, participate in, or have a hands on experience with. How can we better understand insects? We can create our own. A child develops their critical thinking skills when they create their artistic version of a honey bee, dragonfly or firefly. Emily: My dragonfly has 2 wings so it flies up and down, back and there and up and here. All over. Mason: And it can swoop and catch fish, some of them can because they can fly so fast and down. Through observation and discussion children can develop a greater appreciation and understanding of the natural world and the wonder it holds. Matan: A bug has 6 legs. That bug has lots of legs though, what type of bug is that? Morah Katie: Let’s count how many legs it has. It has 56 legs, I think it may be a centipede. A centipede seems like it should be an insect but it isn’t. It is an arthropod, they have many body segments with one pair of legs for each body segment! Is that an insect? Matan: No, an insect just has 3 body parts. Morah Katie: When we breathe do we start to glow? Lochlan: NO. We aren’t fireflies. 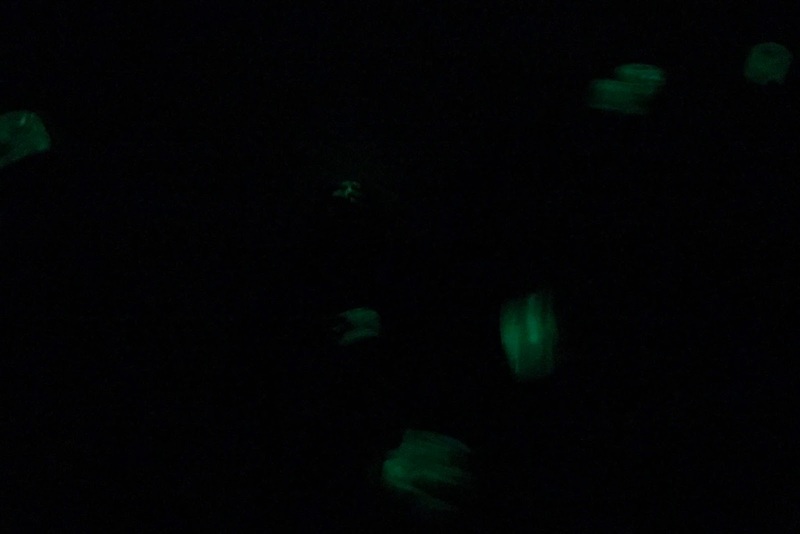 Morah Katie: Why do fireflies glow? Lochlan: A special chemical in their belly when they breathe it lights up. Olivia: It's in their lantern, it's in their belly. It's when they breathe in oxygen. Morah Katie: If you were looking at frog and it began to glow, could you guess what it ate? Jade: The frogs eat the fireflies and get them in their bellies and then the frogs light up. Children have a natural sense of wonder, and learn effortlessly. They maintain better retention of a concept when they interact with an activity which reinforces what they are studying. *Thank you to the Weniger family for the net donation.